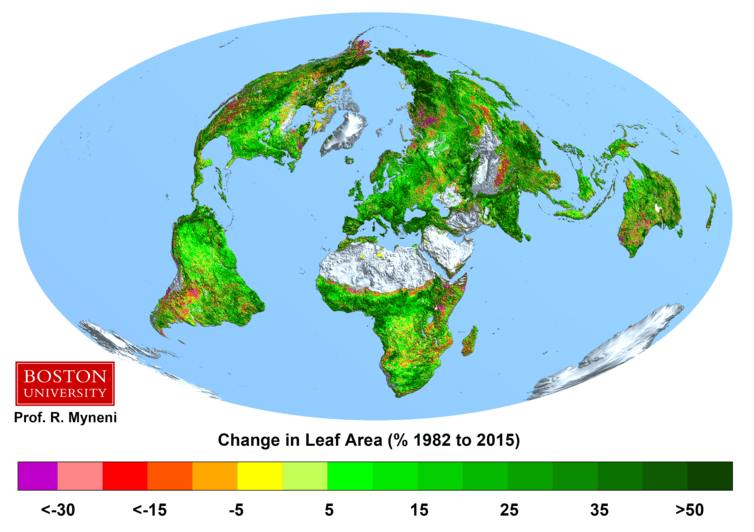 We found consistent trends in greening across Australia, central Africa, the Amazon Basin, southeast United States, and Europe. We found browning trends in northwest North America and central South America. We then used models to figure out what was driving the trends in different regions. Humans have shown their capacity to (inadvertently) affect the world’s entire biosphere, it is now time to (advertently) use this knowledge to mitigate climate change and ameliorate its impacts. So, is there evidence of a slowing down of the pace of global warming? Increased greening should be beneficial, in that absorption of carbon dioxide will correspondingly increase, ultimately being converted to wood which finds many uses. Good news then? Good article just a heads up you said ” affect the word’s entire biospehere” at the end there I’m assuming it’s a spelling mistake? Otherwise great read!